When looking at decoys, many people look at the fanciest looking kinds saying to themselves, “now those things will kill some serious birds”. The fact of the matter is that people still use “foam block” duck decoys or cut up black tires and do just fine. When birds get a bit decoy wary though, the above mentioned decoys may not do the trick anymore. 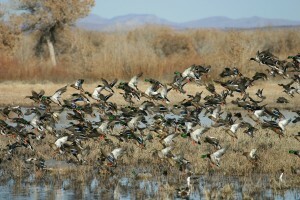 Early season ducks in Colorado are very weather dependent. 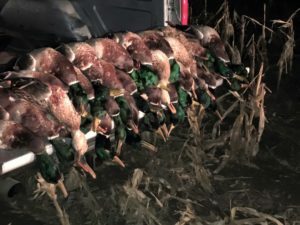 These birds are hit very hard during the first few weeks of the season and, unless you get weather up north to push migrators south, hunting can get really slow. 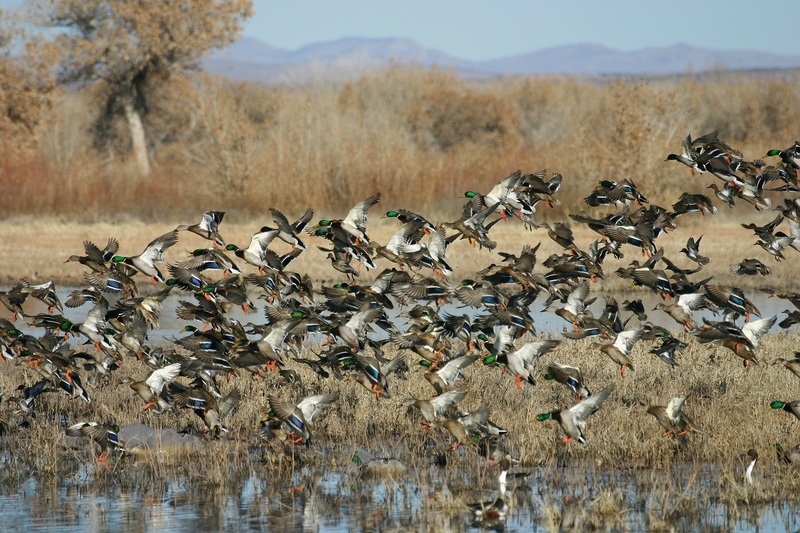 This is where flocked decoys can be a major benefit. When working decoys, stale ducks can be spooked by anything out of the ordinary. This includes a shining decoy or lack of motion. This is where flocked decoys will come in handy. Flocking on a decoy keeps them from shining and looks much more realistic, but all isn’t perfect yet. This is the perfect time to “deke down” and use 5-7 fully flocked decoys. Put 2 on a RigEm Right jerk string and the others spread out around those. Find a way to keep the jerk string underwater with a hoop bolt or hook attached to something under water and keep constant movement in the dekes. Jerk away when birds are far out and go to slight movements when birds are up close. The constant movement combined with less shine off the decoys will help you will help you seal the deal! With regards to field ducks, but the weather, stick with the spinners, and get ready for bombing thousands! When hunting early season lesser geese, numbers can be key. This is especially true when you have competition in surrounding fields. At this time, I’ll take everything I have and spread it out to look huge. Shine off the decoys can be an issue but who can afford 25 dozen fully-flocked decoys? If you can, more power to ya!!! When larger birds push in and start becoming more and more wary, this is when you’ll see real benefit to more realistic, fully-flocked decoys. Any motion is also key. Dakota makes a very nice honker decoy that is extremely realistic and is perched on a motion stand. A 5mph breeze can get these decoys bobbling around and many a spooky goose has been fooled by them. The lack of shine off these decoys can be extremely beneficial as can changing your decoy spread around. Whether on the ice, on a river, or in a field, spread your decoys out and have fun playing with different types of setups. More importantly, be opportunistic when shooting spooky birds. Don’t get too stuck on getting them to land but DO get the closest shot you have.